The Japanese bombing of Pearl Harbor, Hawaii on 7 December 1941 triggered war between Japan and the U.S. The event forced people of Japanese ancestry living in the U.S. into a difficult situation. Not only Japanese nationals, but also their children born and raised in the U.S. suddenly became the target of suspicion, fear, and hostility. Responding to calls for the removal of “enemy aliens”, President Roosevelt issued Executive Order 9066 in 1942, authorizing the incarceration of a total of more than 120,000 people of Japanese ancestry, two-thirds of whom were American citizens. Ten camps were hastily built in desolate desert or swampy areas. Many spent the next three years in those camps, deprived of their property, social status, and dignity. Although political and legal aspects of Japanese American internment have been investigated at some length, the camp life of the internees, in particular its musical aspects, has not received scholarly attention. My article, “Extraordinary Circumstances, Exceptional Practices: Music in Japanese American Concentration Camps”, published in 2005, was to my knowledge the first academic writing on this topic. In the more than a decade that has passed since, there have been some developments in this largely-overlooked field of Japanese American history. In 2014, Shirley Muramoto, a third-generation Japanese American, created the documentary film Hidden Legacy: Japanese Traditional Performing Arts in the World War II Internment Camps, interviewing more than thirty people including some who taught and performed Japanese arts in the camps, their students, and myself, and collecting related photos and video recordings publicly unknown before. Since its premiere on 5 April 2014 at the Japanese American National Museum in Los Angeles, California, the film has been screened in 22 places throughout California, seven places in Japan, three places in Massachusetts, and one each in Chicago and Singapore, as of January 2017. Also, since its first public TV broadcast on 7 September 2014 on KRCB, California, the film has been aired on public stations across the U.S., including Arizona, Hawaii, Florida, Michigan, Indiana, Illinois, New Mexico, Pennsylvania, and Washington. 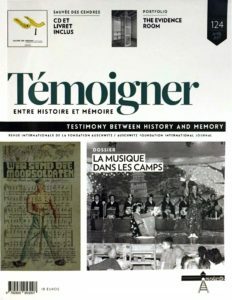 This paper first summarizes my 2005 article on music in Japanese American concentration camps, then outlines postwar Japanese American attitudes toward the internment and their gradual changes since the 1990’s, and finally describes the background to the making of the Hidden Legacy film, analyzing its impact on Japanese American memory and attitudes toward the internment experience. Music survived and even flourished in the concentration camps. There were a number of factors behind this phenomenon, which might seem at odds with the negative impact of the internment in general on the people’s economic, social, and psychological lives. First, the War Relocation Authority (WRA), a civilian agency formed to administer what were officially called the “relocation centers”, encouraged recreational activities among the internees as a means of releasing their stress and energy, building morale, and avoiding trouble. The camp administrative bureaus, under the jurisdiction of the WRA, established a Recreation Department and a Music Department in each camp, and employed teachers for various recreational and musical activities. They also constructed recreation halls in each camp block, which contained 12 to 14 apartment units housing 250 to 300 people, and even built amphitheaters in some camps. Second, the internees were truly in need of recreational activities – including music and dance – as means to bring enjoyment and solace to the grim and stressful camp life and to sustain hope. Third, liberated from the stresses and demands of earning an independent living, the internees had an abundance of free time. Finally, due to the high concentration of the Japanese population, instructors in a wide variety of musical forms, especially in Japanese genres, became accessible to many. Consequently, many internees began to practice some form of the performing arts for the first time in the camps. Overall, the camp environments contributed to both the vitalization of Japanese music and the promotion of Western classical and American popular music among Japanese Americans. (1) Music served multiple functions as both mandated by the camp authorities and needed by the internees in the extraordinary circumstances occasioned by the war. Since their immigration to the U.S., people of Japanese ancestry had engaged in a variety of Japanese musical activities, and they could continue and even vitalize them during internment. Although the American government overreacted to any- thing with a tangible connection to Japan before the mass incarceration of Japanese Americans, the WRA tolerated Japanese cultural activities in the camps because the Japanese Americans were now under unbroken surveillance, segregated behind barbed wire fences. Yet, the degree of acceptance of Japanese cultural activity differed from camp to camp, depending on the director appointed by the WRA. The only exception being the facility at Tule Lake (California), which became a sort of segregation camp for internees labeled “disloyal” as a result of the so-called “loyalty questionnaire” administered in 1943. In this camp, a small group of pro-Japan ultra-nationalists promoted various types of traditional Japanese cultural activities as part of their agenda to better prepare people for eventually returning to and assimilating into Japan. This cultural revival movement, however, was short-lived and not successful. The five camps I studied through their newsletters were: Manzanar and Tule Lake in California, Gila River and Poston in Arizona, and Rohwer in Arkansas. The other five camps not included in my study were: Topaz (Utah), Amache (Colorado), Heart Mountain (Wyoming), Jerome (Arkansas), and Minidoka (Idaho). In some other camps, however, teachers of Japanese performing arts were paid a monthly salary by the WRA just like other inmate-workers, including school teachers, librarians, and doctors (Waseda s.d.). Kabuki plays, involving Japanese classical dance and instruments, were the most popular of the Japanese performing arts in the camps. The wigs, stage-props, and costumes required for the plays were quite ingenious and creative and were handmade by internees with whatever materials were available. Small instruments like the shakuhachi (bamboo flute) were brought to the camps by some people upon their internment, while large instruments like koto (zither) were later sent from outside by those who had been asked to look after the instruments before the internment. Talent shows called engei-kai and a type of Japanese folk dancing called bon dance were also popular as participatory performance events involving internees of different ages and musical preferences. Although “protection of Japanese” was no doubt the government’s excuse for “relocation”, as far as Japanese cultural activities were concerned, the camps ironically provided the Japanese with a safe place to continue them. _ Kabuki theater, Poston, Arizona, designed by Herb Yuki. American culture, big band music captured the interest of the American-born Japanese children, who were mostly in their teens or early twenties at the time. Culturally Americanized, they were not fully assimilated into American society due to racism. Nonetheless, by performing and dancing to big band jazz repertoires, young Japanese Americans, consciously or not, were affirming their identity as Americans (Yoshida 1995). Although Japanese Americans were victims of the war, the former internees remained silent about their experiences for several reasons. First, they were desperate to assimilate into American society to re-establish their lives. Second, they felt shamed by having been denied as being loyal Americans. And finally, they were reluctant to recall and talk about their painful experiences. The first generation’s attitude is generally described by the term “gaman” (endurance, and hard work in the face of daunting obstacles), while the second generation suffered a lingering feeling of shame “that took decades to overcome” (Spickard 1996, 134). Stimulated by the Civil Rights and Black Power movements of the 1960’s and 1970’s, third-generation Japanese American activists emerged and pushed forward the redress movement, which culminated in the passage of the Civil Liberties Act of 1988, leading to a national apology and individual payments of $20,000 to surviving internees. It was only after the settlement of the redress campaign that cultural aspects of camp life began to receive some attention. And it was the third-gene- ration Japanese Americans without internment experience who began to explore such aspects. The third generation, thus, began to ask questions and learn from the second generation what their everyday lives in the camps were like. J-Town Jazz Ensemble (formed in 1989), and the Larry Honda Quartet (formed in the 1980’s). Americans also resulted in the 2012 documentary film Searchlight Serenade, which included interviews with ten former inmate musicians. In the late 1990’s, artworks created by the internees also began to draw attention. The Japanese American National Museum held exhibitions about the incarcerated artists George Hoshida, in 1997, and Henry Sugimoto, in 2001, including their art- work. A more comprehensive exhibition showcasing a wide variety of artworks and crafts by interned artists and amateurs followed in 2006. Titled The Art of Gaman, it was organized by Delphine Hirasuna, based on her 2005 book of the same title. The show met with an enthusiastic reception and has traveled nationwide. In 2010, it was brought to the Renwich Gallery of the Smithsonian American Art Museum for a period of eleven months. It also toured five locations in Japan from 2012 to 2013. The exhibition demonstrated the internees’ spirit of gaman and dignity through their arts and crafts, which were ingeniously created out of scraps and found materials in order to beautify their surroundings and bring comfort to the seemingly unbearable life. The documentary film Hidden Legacy: Japanese Traditional Performing Arts in the World War II Internment Camps (2014) was the first of its kind to focus primarily on Japanese traditional performing arts in the camps. Director Shirley Muramoto is a koto performer and teacher, who first learned the instrument from her mother. Knowing that her mother learned the koto in Topaz and Tule Lake where her family was interned, Muramoto began to develop her interest in Japanese traditional per- forming arts in the camps. She confesses at the beginning of the film that she imagined the camps her mother talked about as some kind of summer camps to teach Japanese instruments. It was only in her high school years that she learned they were in fact concentration camps. This was a typical third generation experience because their parents did not talk about the internment. Civil rights worker Fred Korematsu’s son Kenneth also had to learn about his father’s resistance to imprisonment in a high school civics class (Spickard 1996, 134). The performance was recorded and released as a CD of the same title in 1997 by Lisa A short video clip of the concert is included in the DVD Words, Weavings and Songs, sold at the Japanese American National Museum. This episode proves how little was known about Japanese performing arts in the camps back then. Muramoto found my research article on music in the camps through UCLA Professor Lane R. Hirabayashi, soon after it was published in 2005, and contacted me. My article, developed from a chapter of my dissertation, was based on inter- views with ex-internees who had performed in the camps, and camp newsletters published by the internees themselves. I originally approached those interviewees as Japanese American performing artists and teachers without knowing of their experiences in the camps. The stories about their camp experiences unfolded in the process of my research on a broader topic, Japanese American musical history in southern California. Camp newsletters were first published in English only but eventually added Japanese-language sections. Information on Japanese performing arts was almost always found in the Japanese-language section written by the first generation and kibei or the second generation who had received part of their education in Japan. Given such conditions, it is understandable that even a researcher at the Japanese American National Museum believed that there was no koto in the camps. This is my own opinion, but my feeling is that the JACL (Japanese American Citizens League) and the government […] wanted Japanese and Japanese Americans to assimilate to American culture as fast as possible. Japanese arts would not be included in this way of thinking. Because of this, my feeling is that it affected the history being collected on the internment. Most of what is in the books is how American they all were, doing baseball, swing dancing, boy scouts, etc. Doing anything Japanese was not considered “patriotic”. Heranalysis explains whybig band jazz was the first musical genre featured in the works dealing with camp life – the musical Jive Bomber’s Christmas (1994), the Music to Remember concert (1995), and the documentary film Searchlight Serenade (2012). It was a topic relatively openly talked about and documented and thus well-remem- bered among Japanese Americans. Big band jazz in the camps demonstrates how culturally American those young Japanese Americans were, even though they were interned because of their Japanese ancestry. Thus, it functions to underscore the injustice of the internment. Japanese performing arts in the camps, however, do not work that way. When I first introduced Hidden Legacy in Japan at a small meeting of scholars of Japanese American history and culture in 2014, one of the scholars quietly advised me that I had touched a taboo area of the Japanese American internment. She said that recreational activities in the camps had been concealed because they might cause the misunderstanding that camp life was not so bad. Such a concern, however, has already been overridden by the disclosure of big band jazz and arts and crafts in the camps, which successfully demonstrated the American identity of the nisei and the spirit of gaman respectively, and altogether the pride and strength of the people who survived the internment. However, Japanese performing arts were much more difficult to talk about because, as Muramoto pointed out, they were the arts of the enemy at the time. The postwar efforts at Americanization and assimilation have shaped the Japanese American discourse, attitudes, and memories of internment experiences. They also affected Muramoto’s research into the topic. She was refused interviews by a couple of koto teachers as well as by her own mother – all were nisei. Muramoto said, “if I was getting this resistance to talk from nisei, I have a feeling it would have been even more difficult to get find issei [first generation] who would talk about their experiences”.7 Japanese performing arts in the camps were indeed a taboo topic, even within the Japanese American community. Despite these difficulties, Muramoto eventually succeeded in interviewing more than thirty people, and in collecting letters, objects (wigs, masks and so on) and audio-visual materials related to Japanese performing arts in the camps. Her film seems to have had a different impact on different people. The performing arts in the camps as introduced in the film were truly a discovery for many. Interestingly, this was so even for those who had been there. Because each camp was like an immense town, housing an average of about 10,000 internees, people who lived in them did not necessarily know everything about their own camp. Through interviews and film screenings, Muramoto found that a man who was a member of a big band in Poston (Arizona) was unaware of the kabuki stage built there for kabuki drama performances, while a woman who learned shamisen (three-stringed instrument) in Gila River (Arizona) thought only Japanese arts were practiced, although there were also big bands. In this sense, Hidden Legacy filled many gaps in people’s understanding of performing arts in the camps. Young people had fun. I hate to say that. I wouldn’t say that to the Caucasian people that put us in there […] Actually, it’s kind of bad to say “good ol’ days”. But it was. I had a good time. Young people had fun ‘cause they didn’t lose anything except freedom, you know? But, all the adults lost their business. There was a dust storm. Oh, my! Our faces got full of dust. And I remember sitting on the open truck, and there was a lady sitting across from me and we both cried. And I remember our faces got covered with dust, and the tears rolled down so that there was a line. Yeah, sure remember! To us it was very sad. _ Kabuki dance performance at Gila River, Arizona. The left-most shamisen (three-stringed instrument) player is Jyorokusho Kineya, who taught shamisen, koto (zither), and Japanese classical dance in the camp. It’s amazing how people learned to survive. They were in the worst place possible. You were in a camp. You were isolated. You were surrounded by sentries, and spotlights. And yet, in different parts of camp, you had a moment of peace and happiness. And this was provided by the traditional cultures. And so, for that moment, for those two, pos- sibly three hours, people were in a different world. I never told my children about it. I never really wanted to talk about it. Even though I don’t think it was very painful, I think the pain comes from thinking about your parents and what they had to suffer through. It was as if remembering and talking about her internment experiences was therapy for her broken heart. Email to the author, 21 October 2014.
on this matter. Her film, screened and broadcast on various locations in the U.S., effectively demonstrated the power of music in horrible conditions of imprisonment, as well as the strength of the internees to engage in performing arts as a means of survival. It literally revealed the “hidden legacy” of Japanese American experiences during the war and revised people’s views on the internment. Through the process of making the film, former inmates were able to reflect upon the experiences they kept to themselves for so many years, and were encouraged to consider their own past from a new perspective. In this sense, Hidden Legacy is a journey of discovery not only for the younger generations, but also for the former internees. Hidden Legacy: Japanese Traditional Performing Arts in the World War II Internment Camps, http://jcalegacy.com/see-the-film/ (accessed 27 January 2017). Ishihara, Elaine, ‘A Jive Bomber’s Christmas Comes to Seattle’, Asian American Theatre Revue, 1999, http://www.aatrevue.com/Old/JIVE1199.html (accessed 26 January 2017). Spickard, Paul , Japanese Americans: The Formation and Transformations of an Ethnic Group, New York: Twayne Publishers, 1996. Waseda, Minako, ‘Extraordinary Circumstances, Exceptional Practices: Music in Japanese American Concentration Camps’, Journal of Asian American Studies 8(2), 2005, 171-209. —, ‘Music in Camp’, Densho Encyclopedia, http://encyclopedia.densho.org/Music_in_camp/ (accessed 29 January 2017).